Other Plans is the new, drop dead gorgeous sonic journey by multi award-winning quintet Coco’s Lunch that has garnered critical acclaim for its bold originality and sheer beauty. Directed by Neil Jordan (Festival Director, Edinburgh International Children’s Festival) Other Plans showcases the group’s finest vocal compositions alongside fiery South Indian vocal percussion, including the award-winning new single Other Plans. 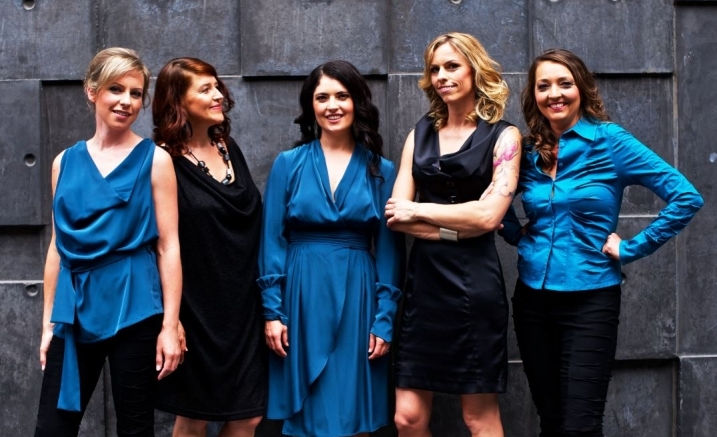 Described by the Herald Sun as a ‘national treasure’, these five women are world-class improvisers, composers and singers, drawing on jazz, world & pop music styles to carve a unique sound in the Australian contemporary vocal landscape.